American made, custom CNC cutting machines. 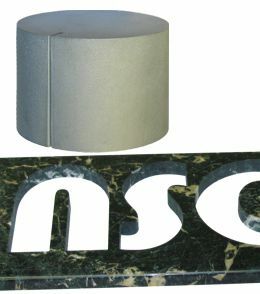 All major components in our systems are made in the USA or sourced from premium suppliers in Western Europe. 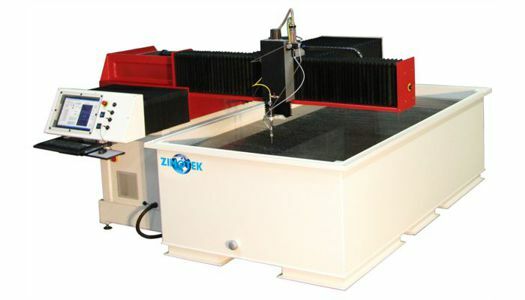 ZIMOTEK manufactures abrasive waterjet cutting machines for use in a variety of applications for cutting metals, stone, wood, glass, and plastics. Capabilities include fully enclosed systems and motion speeds to 2,000 IPM. Custom abrasive waterjet cutting machines are available to 12' x 24'. 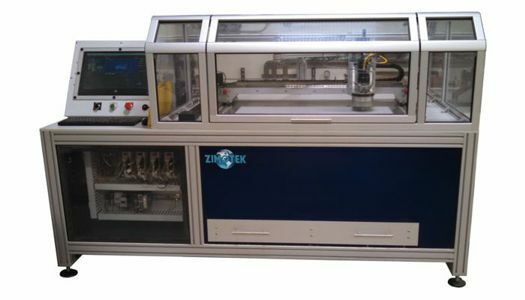 ZIMOTEK manufactures high speed waterjet cutting machines for use in a variety of applications for cutting soft materials, including insulation, ejection rubber, carpet, synthetic turf, and vinyl. Capabilities include virtually dry waterjet cutting, fully enclosed systems, and motion speeds to 3,000 IPM. 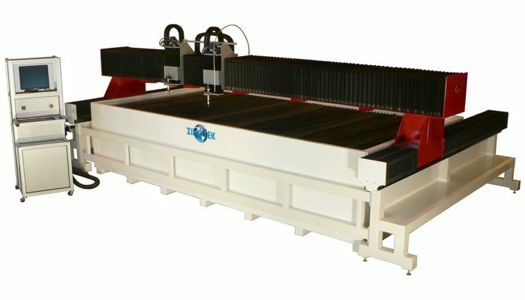 Custom waterjet cutting machines are available to 16' x 18'. 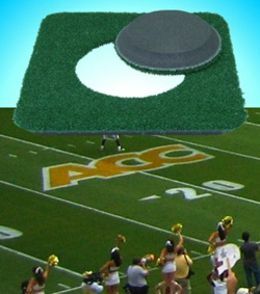 ZIMOTEK manufactures ultrasonic cutting machines for inlay shape cutting of synthetic turf and various woven carpet materials. 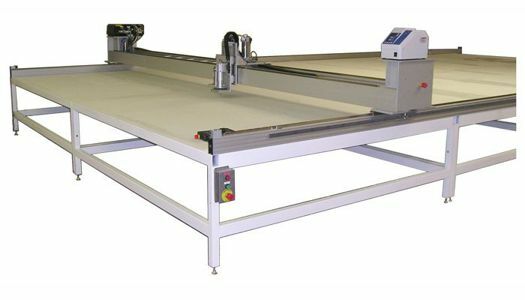 All ultrasonic cutting machines feature warp-proof vacuum tables machined flat at installation. 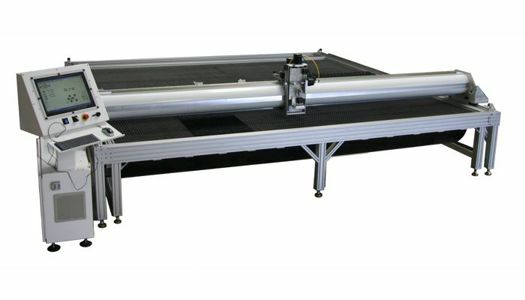 Custom ultrasonic cutting machines are available to 16' x 48'. © 2016 ZIMOTEK, Inc., All Rights Reserved.